A good deal of sunshine. High 97F. SSE winds shifting to NW at 10 to 15 mph.. Mainly clear skies. Low 67F. Winds NNE at 10 to 15 mph. Taft High's Jordan Miranda takes a pitch during football practice for their 2018 season. Alex Garcia, Taft High football. The Taft High football team work on their running game during a Thursday evening practice. Jordan Miranda , Taft High football. The Taft High defence key in on their assignments during a recent practice for their 2018 season. Bryson Ginn, Taft High football. George Falgout, head coach Taft High. Brett Walls, Taft High football. The Taft High football team celebrate a touchdown during practice for their 2018 season. Taft High linemen battle to dominate the line during a recent football practice. Taft High's Jordan Miranda watches the play develope from his middle linebacker position during football practice Thursday. George Falgout, head coach at Taft High, drops obstacles that runners react to during practice for their 2018 football season. The Taft High Wildcats stay hydrated during their hot early August football practice. Taft High's Jordan Miranda turns the corner to gain big yards during football practice Thursday. Taft High runners power through the obstacles head football coach George Falgout has them run through as they prepare for their football season. Taft High football team practice for their 2018 season. Taft High QB, Jackson Van Roekel, drops back to pass during practice Thursday. The defensive pursuit collapses in on Taft High's QB, Jackson Van Roekel, on a keeper during Thursday evening practice. The Taft High linemen get their hits in during practice for their 2018 season. Taft High's Brett Walls playing defensive back nudges the receiver as he sees a running play develop during Thursday evening practice as the Wildcats prepare for their 2018 season. Jordan Miranda, senior, RB/ILB - A reserve running back in 2017, Miranda will be the focal point for the wing-T offense and the starting middle linebacker on defense. A hard hitter who has shown a knack for finding holes in the run game. Alex Garcia, senior, FB - Converted defensive tackle will be utilized as a sixth offensive lineman at fullback. Brett Walls, junior, wing - Fast with a good eye for the ball. Will be utilized plenty in the run-first offense. Bryson Ginn, senior, OL/DL - Leader of the offensive and defensive line is also the vocal captain for the Wildcats. Now in his fourth season at Taft, head coach George Falgout feels this program is right where it’s supposed to be. After a 2017 referred to by the current staff and players as a year of bad chemistry, the Wildcats are leaning on a senior class that has spent four years in the same system under Falgout. In more ways than one. There was talent abound but, as Falgout says, there was chemistry issue with a handful of players affecting the bond of the team as Taft went 2-7 and missed the playoffs. 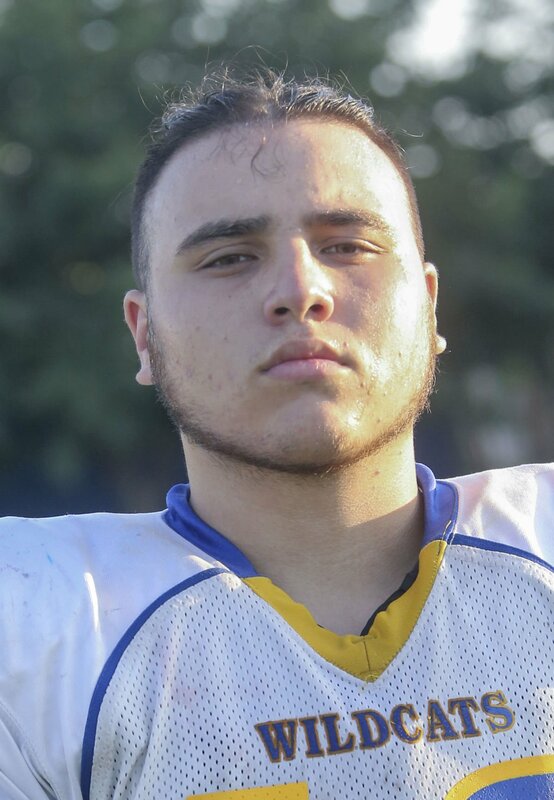 The run-heavy offense for Taft will rely on first-year starter Jordan Miranda at tailback and Alex Garcia will move from defensive line to fullback. In 2015, George Falgout’s first season as the head coach at Taft, the Wildcats were running wild and having fun. Then came 2017 where the positivity inside and out of the locker room was strained. Falgout admits that he's scaled down the playbook to help his players get back to what worked well in the beginning of his tenure. Add that to a positive outlook entering the new season, and Falgout believes the changes — including the additions of four new coaches to his staff — are for the better. With leaders like Bryson Ginn on the offensive and defensive line, the seniors have taken it upon themselves to make sure the problems in 2017 are gone.